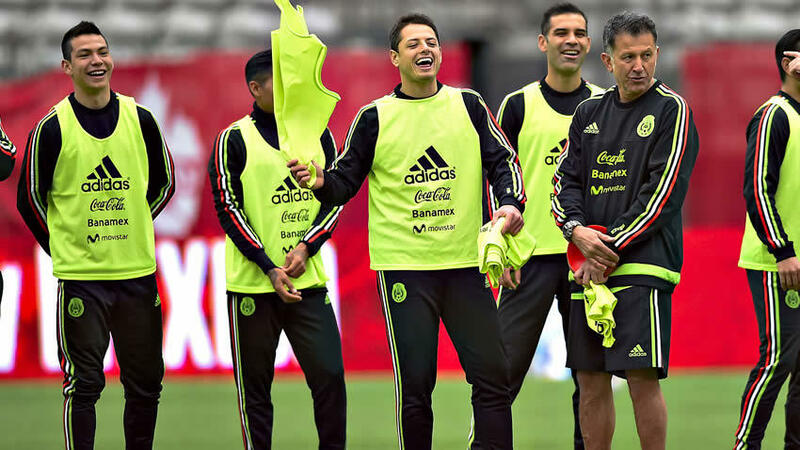 With seven points from their first three matches of the Hexagonal, El Tri should feel relatively comfortable about their World Cup qualification status ahead of Tuesday’s match in Port of Spain. For the most part, the core of their squad is healthy enough to play, aside from libero Rafael Marquez and Jurgen Damm who left the team after Friday’s match. If manager Juan Carlos Osorio is giving indication that he may be looking ahead to Mexico’s Confederations Cup draw, he is setting a dangerous precedent. Although Mexico has had relatively good luck against the Soca Warriors, going 13-5-4 in their twenty-two prior clashes against each other, they have not beaten their opponents on Tuesday in the southern Caribbean since 2004. And manager Dennis Lawrence has this particular Soca Warriors side on a high after defeating Panama at the Estadio Rommel Fernandez on Friday for their first win in this edition of the Hexagonal. But Lawrence knows his Soca Warriors side (1-0-2, 3 pts) is still outside the World Cup picture, and a shock win would go a long way toward improving his side’s chances of qualifying for their first World Cup since 2006. Right now, they sit in fifth place out of the six teams taking part in the final phase of CONCACAF’s World Cup qualification tournament. Outside of AZ Alkmaar’s Levi Garcia, there are few names familiar to Mexico fans who do not play in the United States. But Garcia, just 19, like the USA’s Christian Pulisic and Jamaica’s Leon Bailey, is one of the region’s emerging young talents who may be able to steal a game by himself. It becomes critical that El Tri take out the hosts early, put the Soca Warriors in a spot of bother early and often, and finish their chances. 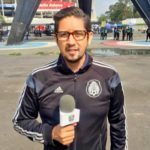 It’s a formula that should make Juan Carlos Osorio have a better idea of his squad’s depth–especially since he had Giovani Dos Santos, Andres Guardado, ‘Tecatito’ Corona, Marco Fabian, Javier Aquino, and Hirving Lozano unavailable, and how the players he does have access to have to compensate for each other to deliver the expected results. “If we get to that point and tomorrow we play against Brazil, today I stand in front of the group and I tell you, ‘We have without doubt a team that is capable of competing on an equal footing with Brazil’,” Osorio explained to Fox Sports. But before thinking about potentially playing Tite’s Brazil, which hammered a normally resolute, solid Uruguay on Thursday and is seven points ahead of its nearest competitors in CONMEBOL World Cup qualifying. And it is a game in which Javier ‘Chicharito’ Hernandez might break Jared Borgetti’s all-time goal scoring record. It was a record that Oribe Peralta was asked about in a press conference. They would also be doing it at a stadium, Hasely Crawford Stadium in Port of Spain, in which requires the grittier side of Trinidad and Tobago that few tourists get to see in order to overcome. The match kicks off at 7:00 PM Eastern DST (UTC -5) and can be seen on BeIN Sports in English and Telemundo in Spanish. The match can be streamed on a variety of platforms including FuboTV, Telemundo Deportes, BeIN Sports Connect, and Sling TV.